A beautifully choreographed album perfect listening for romantic times spent with your loved one. Jack Savoretti has the most amazing sounding husky gravelly sounding voice accompanied by drop dead gorgeous looks. The words from the songs of Candlelight and What More Can I Do are truly beautiful and haunting and leave the listener wanting more. Even if this artist isn't what you would normally listen to buy his album, you won't be disappointed! Why are you asking me my opinion of a product that has not been issued or despatched yet . Like so many people you are very premature . 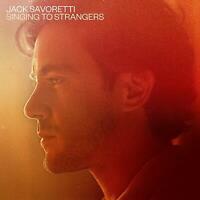 A beautiful cd, full of lovely haunting music, jack savoretti is a young Chris Rea, just buy it!! Jack Savoretti has pulled off another first class CD. He can do no wrong in my eyes up to now.